Template Description: Calm Waters is a 14-second-long logo stinger with procedural, editable 3D text reflected on a peaceful, mirror-like ocean with a beautiful sunset in the background. 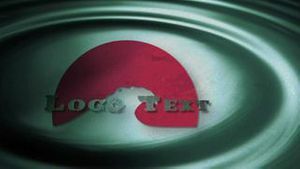 The lens flare is pre-rendered but reacts to the shape of the text. Main features: *AE Version: After Effects CS5.5 and above . *Editability: You can change text and font and tint/color the sky and reflection. *Length: 14 seconds. *Resolution: 1920x1080 Full HD. *Plugins needed: none *Readme File included. *Music and Sound FX are included as separate tracks with the project.